This is a well written dual biography. 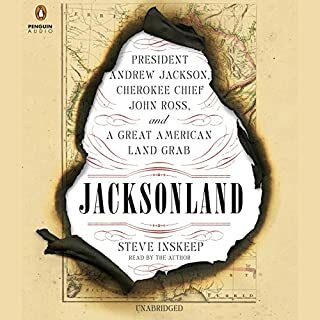 It covers the early 19th century landgrab by the federal government -- breaking almost every treaty it had made with the Native Americans. I waited a long time for this book to be published, and I wasn't disappointed. This is a great work by a great author. 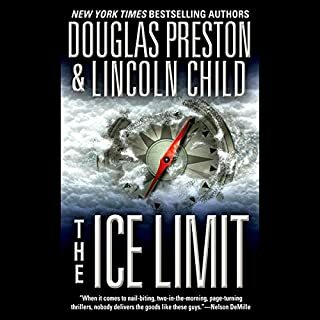 I listen to more non-fiction but always enjoy the rare well-written, interesting story that moves at a good pace and is hard to turn off. This is one of them. 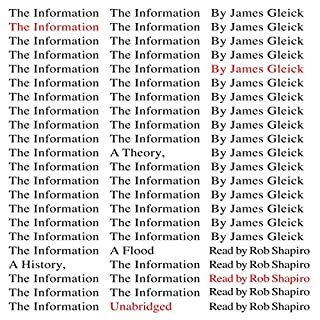 In my 12 years of constant Audible listening/reading, There are few that I have enjoyed as much as The Information. As a CIO and data scientist who also happens to be a total history freak, I gained some truly profound insights into the nature of the information stack, from signal to message to language to semantics. 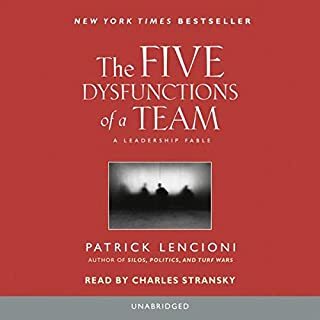 I have read this twice in the last 6 months and have recommended it to hundreds of colleagues. It is very well crafted writing, delivering vignettes at just the right level of length, depth, and, taken as a whole, breadth. You do not need to be a "technology person" to enjoy this. Very well read by Rob Shapiro as well - this gets my highest recommendation. Awesome: this is one of Steven King's best ever. 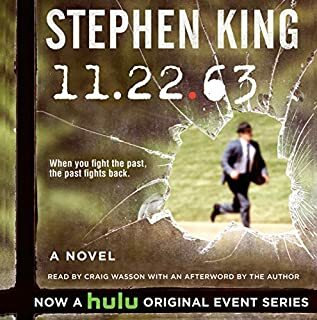 I've enjoyed several King stories on Audible, and 11-22-63 is one of the best. The reader Craig Wasson is brilliant and adds much to the story which I literally could not put down. I would recommend this to anyone looking for a good read. 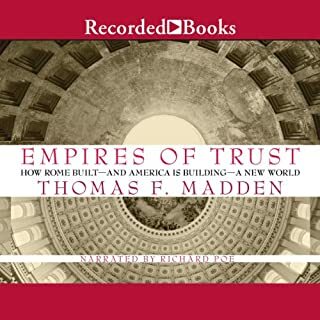 In Empires of Trust, Professor Thomas F. Madden explores surprising parallels between the Roman and American republics. By making friends of enemies and demonstrating a commitment to fairness, the two republics - both "reluctant" yet unquestioned super-powers - built empires based on trust. Madden also includes vital lessons from the Roman Republic's 100-year struggle with "terrorism." I was expecting a thoughtful analysis, and after a few hours of this empty drivel I bailed. This really felt like a reverse-engineered apology for the Bush hubris in international policy. I know nothing of the author's intentions or methodology, but the product smacks of strong prejudice and weak research. Some of it is laughable; most of it is annoying. All of it is a waste of precious Audible listening time. Keep looking. How can an understanding of celibacy strengthen a marriage? How does the mundane task of doing laundry become as sacred as ritual? Let Kathleen Norris explain. For over 10 years, thoroughly Protestant Norris has been an oblate at a Benedictine monastery. 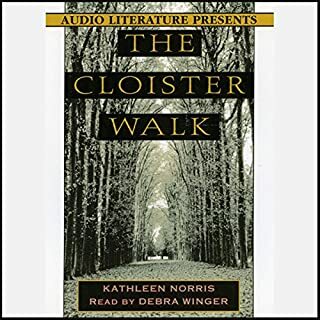 During this period, she has gained tremendous insight into the languages, customs, ceremonies, and sexuality of the men and women who have chosen the cloistered life. 1. Kathleen Norris had some very practical things to say to me as a human being, with all of the positive/negative, physical/spiritual, temporal/eternal things that being human can mean. 2. I found her style of gently revealing an idea to be simply elegant. The thoughts were substantial without being overly dense or heavy - in other words, I gained understanding without gaining a headache. 3. For me, Debra Winger's voice is to sound what Monet is to sight - pleasing, skillful, wonderfully textured, and rendering each word perfectly. Overall, a real joy to listen to. Try this one. A great story - different from other sci-fi, gripping, thought-provoking. After I finished listening to it, my 7 and 12 year old boys enjoyed listening at bedtime every night. 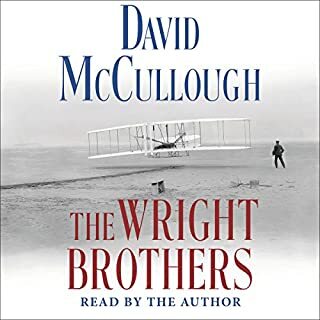 Because of all the dinnertime conversations about the story and characters, my wife, who doesn't like digital audio, went out and bought the book and is almost finished with it. The boys and I have also enjoyed two of the sequels: Ender's Shadow and Shadow of the Hegemon. 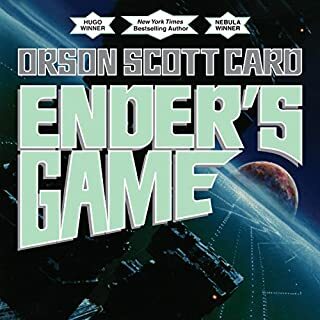 Even if you don't usually read sci-fi, try this one.